It’s an unfortunate reality that reckless drivers are a common plight on our roads. Whether in residential areas, business estates or other commercial areas, speeding can become a serious safety hazard if not kept in check. All it takes is one mistake for a driver to lose control, or fail to brake in time, and put somebody’s life in danger. 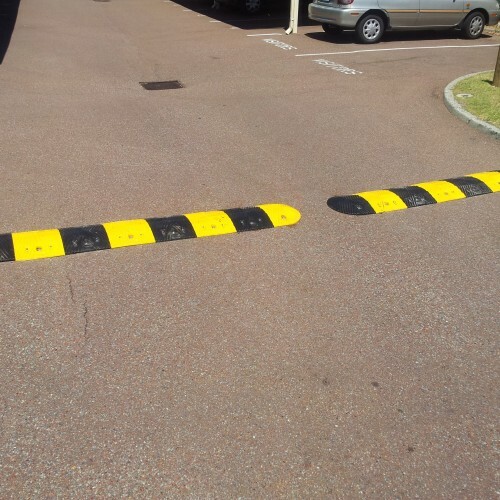 This problem can be easily resolved with the proper placement of rubber speed humps, built and installed by the Perth experts. With years of experiencing providing our high quality products to a range of businesses and clients across a multitude of industries, we are in the best position to meet your needs. We have the necessary training and understanding to advise you on placement, product type and size to help you achieve the most efficient speed control solution. 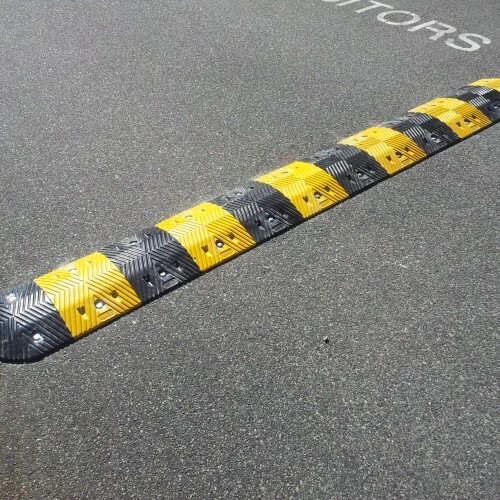 Our premium products incorporate ‘cats eyes’ into their design, communicating to drivers that they need to limit their speed accordingly. This is especially beneficially in carparks, driveways, laneways and other congested areas where pedestrians or other vehicles are likely to appear at the last moment. 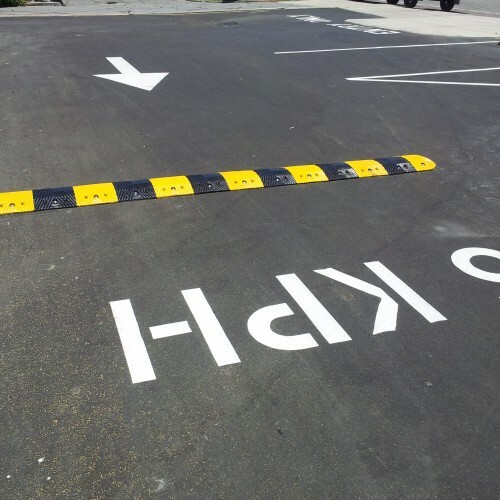 Forcing cars to slow down upon entry or exit of such an area, you are reducing the likelihood of an accident and promoting a safe environment. Our bright paint and reflective features also make our products distinguishable at night, to ensure no drivers get an unexpected surprise and give their suspension an unnecessary workout. 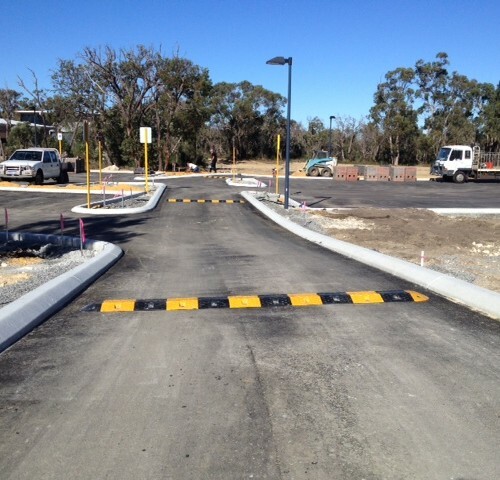 Beyond installing reliable speed control humps for our Perth clients, we also have a number of other products including bike storage racks, parking bollards and much more. 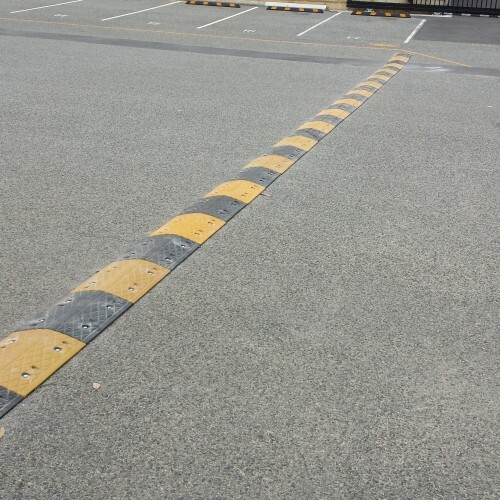 If you required a quote on any of our services, whether for wheel stops, gates or another product, call us today on 0434 431 869. Our friendly staff are always happy to assist and can run you through our services in greater detail to ensure you are completely satisfied with what you’re paying for. Remember, if you find a cheaper written quote anywhere else, we’ll beat it every time.